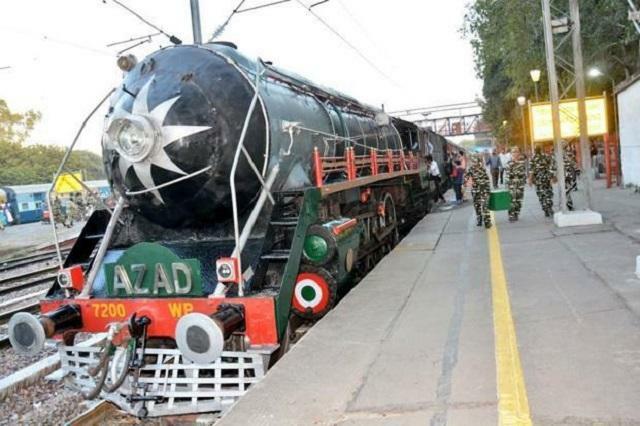 The Indian Railways put into service its revamped heritage steam locomotive Azad WP 7200 to bring alive the magic of steam-hauled trains. 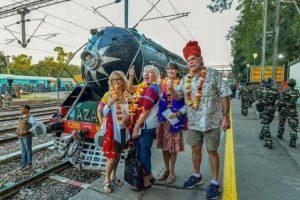 The 71-year-old engine hauled the iconic Indian Luxury Train, the Palace on Wheels. The short yet sweet sojourn started from Safdarjung Station to Patel Nagar Station, both in Delhi, on the Ring Railway circuit this Wednesday. Ashwani Lohani, Railway Board Chairman flagged off the steam-hauled luxury tourist train. The event took place in the presence of senior officials of the board and the Northern Railways. The Baldwin Locomotive Works, Philadelphia, USA built the WP 7200, also popular as Azad, in 1947. The bullet-nosed WP locomotives, the pride of the steam loco fleet, were the backbone of broad gauge passenger train operations of the Indian Railways. Having served the Railways for a long time, these engines finally retired in 1995. Subsequently, a committed Railway team revived these heritage steam engines. Currently, they undergo regular repair and maintenance work at the Railway’s Steam Centre, Rewari. The Railways deals with the running of the heritage steam trips on the popular tourist sections from time to time. 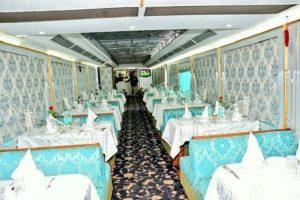 At present, a seven-day tour aboard Palace on Wheels, India’s oldest luxury train costs INR 363000 to INR 756000. 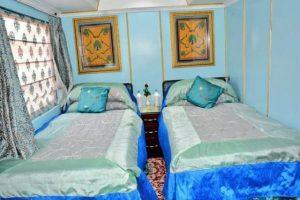 The above prices are for the peak season depending on the kind of accommodation. Palace on Wheels, one of the popular luxury trains in India features wall to wall carpeting, lavish cabins, two dining cars, a well-stocked bar and a very personalized service. 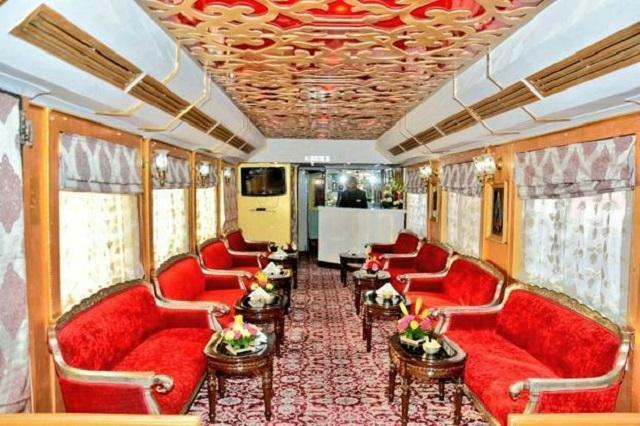 Prominent personalities like the President of India, Prime Minister and senior railway officials, use the luxury saloons or the inspection coaches in the luxury train. They cherish an opulent sojourn in these saloons. 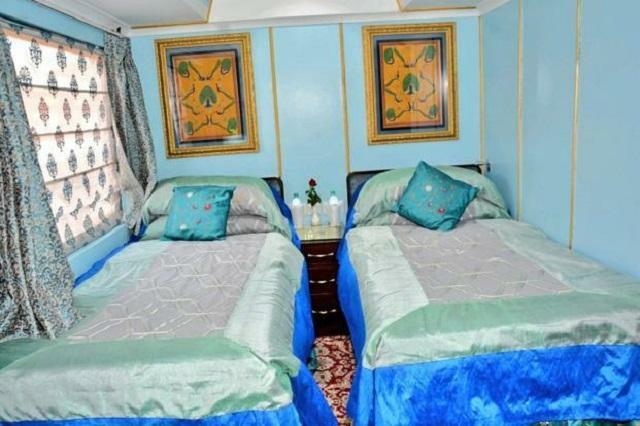 The inspection cars or saloons flaunt a lounge, two bedrooms, a toilet, a pantry and a kitchen. Two families can easily accommodate in these saloons.